Its main armament was a 128 mm KWK 4Gun L/55 and its secondary armament was a 75 mm KWK 44 Gun L/36.5, and a 7.92 machine gun. For a long time Porsche was trying to build large tanks with a petrol motor that would run a generator to two electric motors, one for each track. Like the Ferdinand/Elefant, the Maus had this drive system. Only two were built and of those only one was fully constructed. Amazingly they were able to get a speed of 22 km (14 MPH) out of this beast. Enough of the history, we will now talk about Cobi's magnificent brick beast. I have been drooling over this since I saw the first teaser ad on Cobi about it. 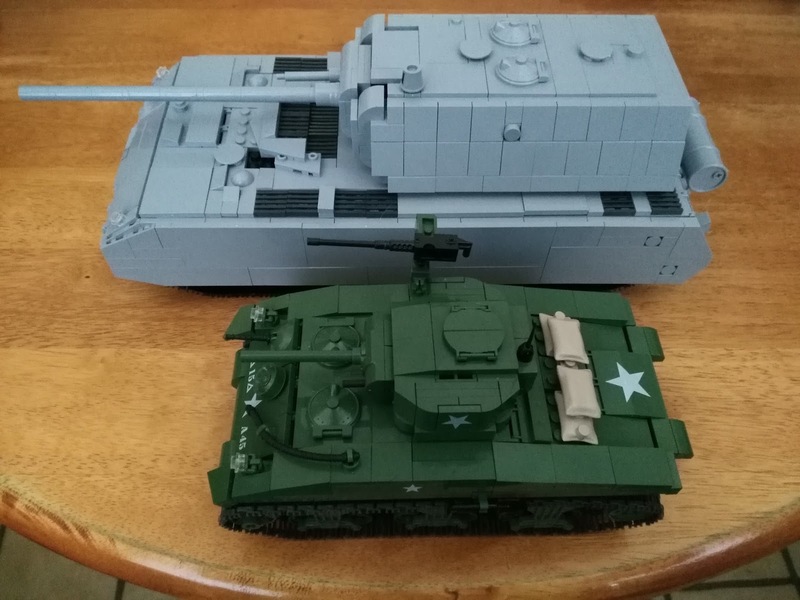 I built the M4 Sherman from Cobi and I was and am mightily impressed with that kit. However, the ads of the Maus just blew me away. Every one I saw looked like a $100 plus plastic model kit. The Maus belongs to the Cobi 'World Of Tanks' lineup. the sheer size of the box is impressive. Most Cobi tanks run in the range of 400-600 piece size, with the Koenig Tiger at the top of the scale at 600 pieces. 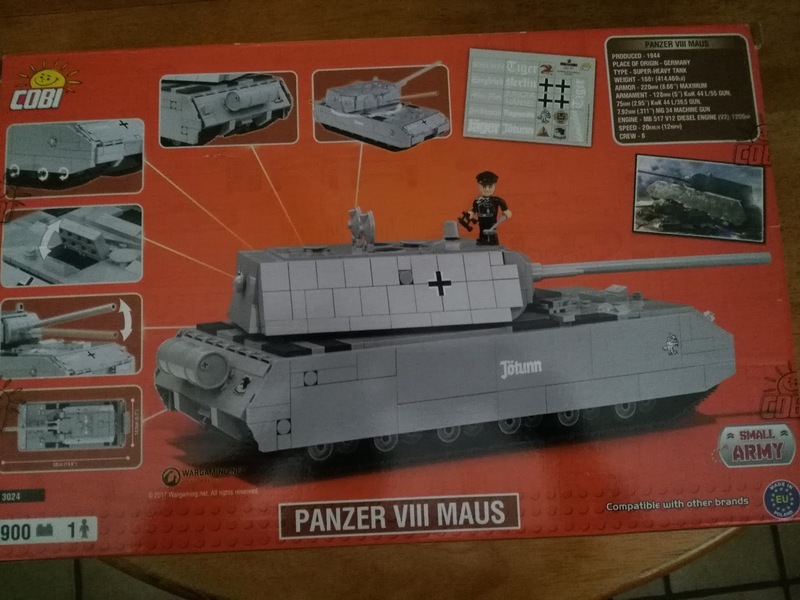 The Maus is a whopping 900 pieces. 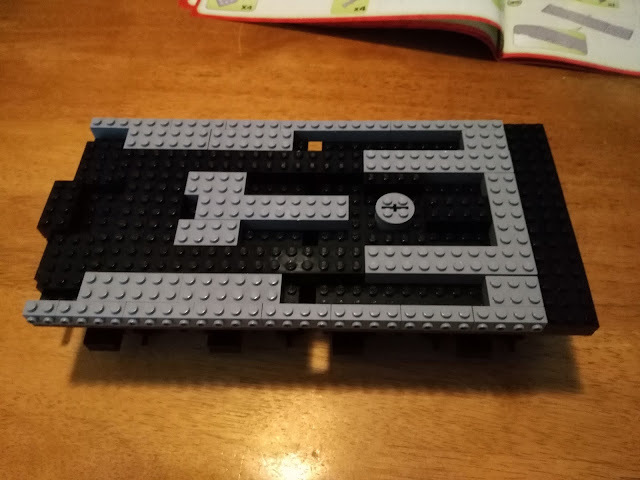 I cannot state strongly enough that once built, these Cobi kits are well put together and will not fall apart into their separate bricks by looking at them. You can actually play with them on a carpet or a floor, and you will not have to be rebuilding the kit. The sheer heft of the Cobi kits, once they are together, tell the whole story. The Maus, when put together, seems almost indestructible like the tank it represents was supposed to be. The instructions for the kit are straightforward, with no real questions, as long as you take your time and follow them. 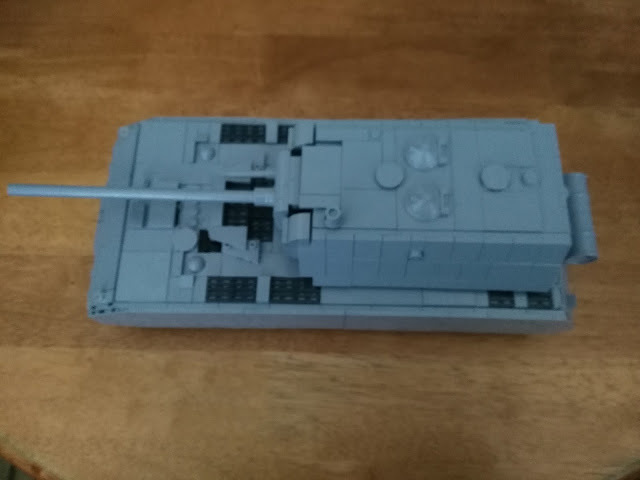 The Maus has shown me that Cobi kits are, as far as looks and construction, just getting better and better. 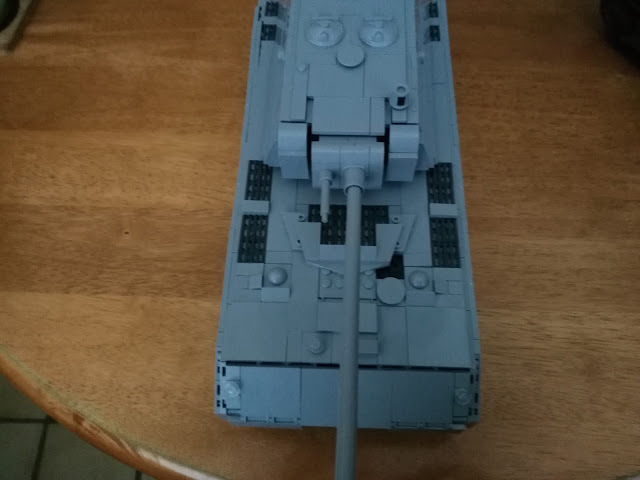 With its 900 pieces it is a longer build that others, but that is not a knock on the kit. 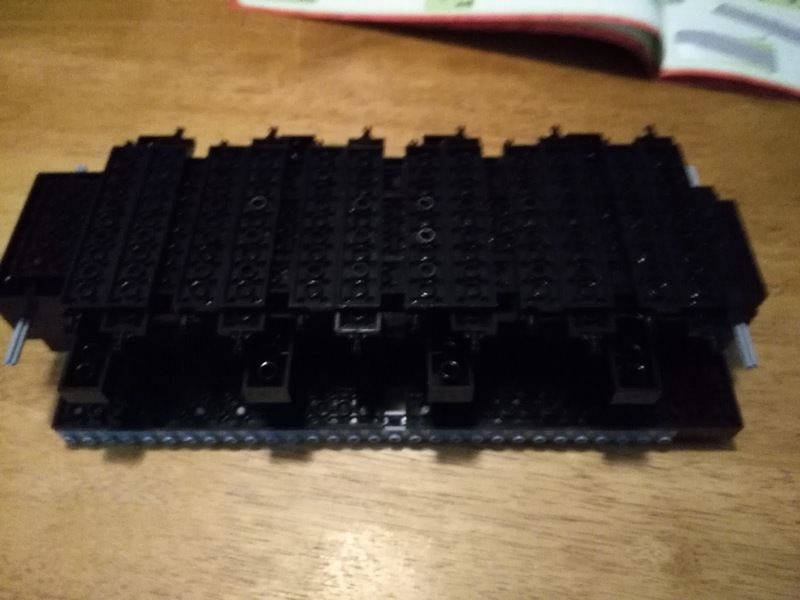 It means you have that much more time to enjoy actually building it. The kit also comes with rubber tires to put on the road wheels. The Maus is an excellent addition to my World War II vehicle collection. 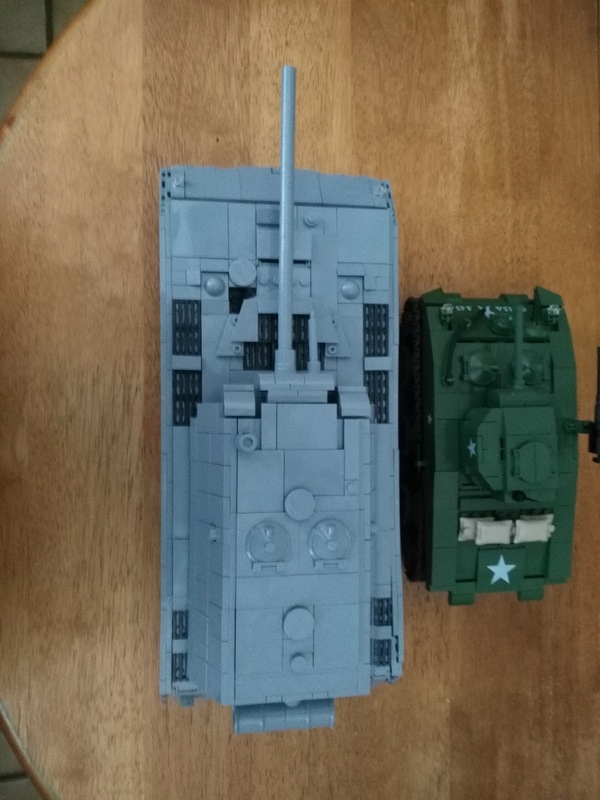 I included some pictures of it next to Cobi's Sherman so that you could see the actual size difference. The tank commander that comes with the Maus once again shows Cobi's attention to detail. In one way I couldn't wait to finish the Maus, and in another I didn't want the building part to end. Construction was just so easy and I was so engrossed in it. 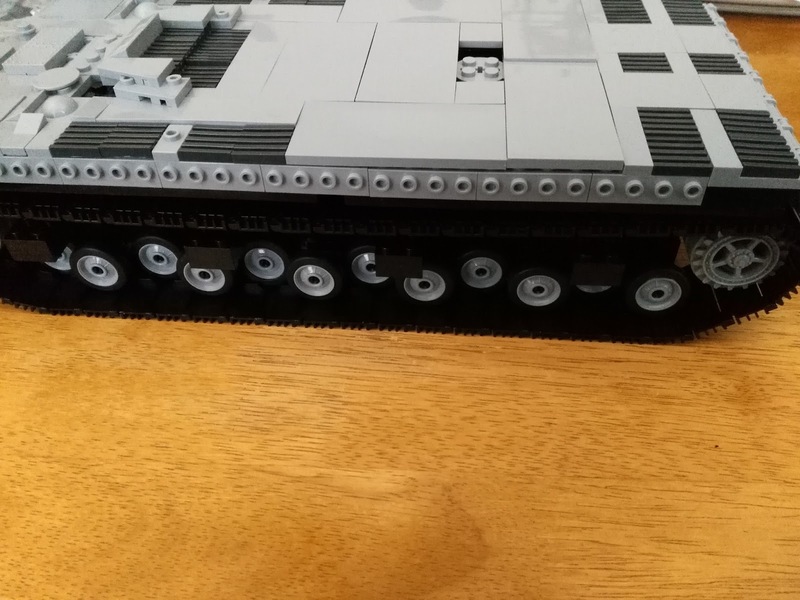 As I stated in my first review, I cannot get over how putting a Cobi block tank or plane together really gives one a sense of accomplishment, just as building a glued together model. The Maus now sits proudly next to some of my other models. 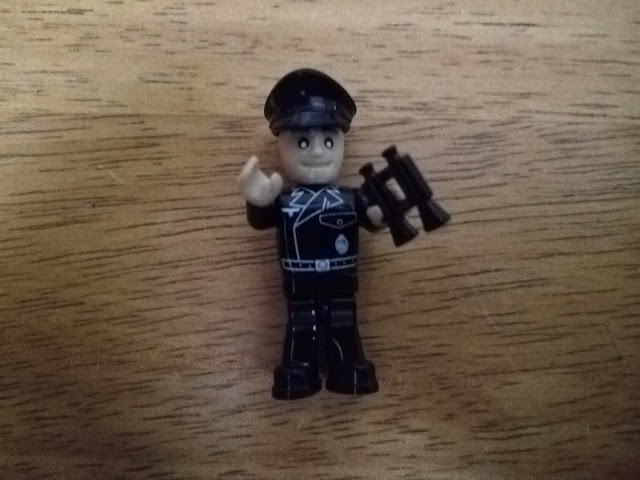 Thank you Cobi for bringing the world a more affordable choice in excellent block military kits. Most, if not all,of Cobi's kits are available in the U.S. from Amazon. Great review m8! I just bought the cobi maus, and it looooks so cool, I hope I can get this B-E-A-uty in war thunder.